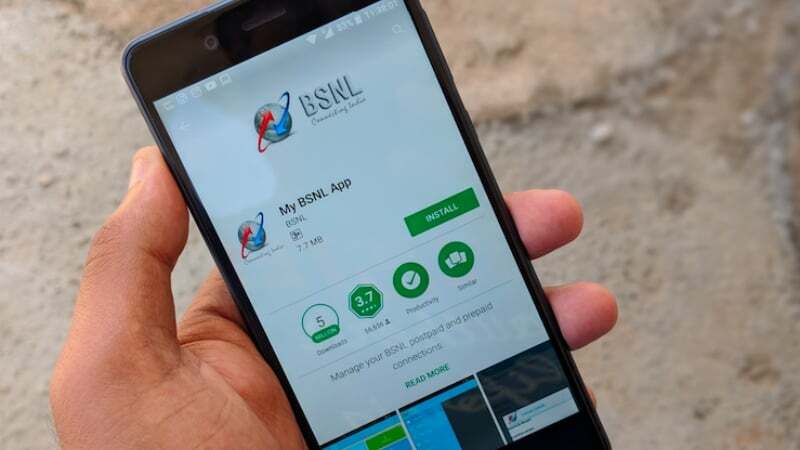 Public sector telecom operator BSNL today announced that it has managed to add 12 Lakh (1.2 Million) new customers during last week, out of which, four lakh customers were added through Mobile Number Portability. BSNL says that the remaining eight lakh customers joined the network because of its unique offers, where it’s offering free voice calls and data for the new joining customers. BSNL also stated that it’s committed to delivering excellent customer services for all the users joining in a huge number. The MNP users might be of Aircel as the telco has filed for bankruptcy very recently. And to lure more users, BSNL has announced a new ‘Welcome Offer‘ for new/MNP customers joining the network until March 31, 2018. Under the welcome offer, BSNL will be providing free 351MB of data with a validity of 30 days. However, if any customer chooses a less validity plan at first recharge, then the data benefit will be valid for the plan’s validity period. For example, if any new BSNL customer chooses the BSNL Nesam Gold Plan, which gives benefits for 15 days, then the free 351MB data benefit will also be valid for 15 days, alongside the Nesam Gold plan. This plan was initially introduced in Chennai (including Tamil Nadu) circles, but BSNL extended the offer to other South Zone circles as well. And for North Zone users, the Welcome Offer will be slightly different. BSNL is offering 1GB of data and free voice calls to any network. The free 1GB data should be used within 15 days, while the voice calls are free for a period of seven days. This Welcome Offer is valid until March 31, 2018, across the country. In Tamil Nadu and Chennai, BSNL is experiencing a lot of demand from Aircel customers, who’re coming and joining the network in big numbers. This Welcome Offer is a good move from the state-run telco, and it will certainly increase the overall new additions on the network. How to get porting code in chennai Aircel sim ?